Since the 1960s, library services in rural areas in South Carolina have been increasingly been provided by regional libraries which join resources from more than one county in order to form a stronger overall system. The Abbeville-Greenwood Regional Library was formed when the Abbeville County Library and the Greenwood County Library joined in 1966. Walker's short history provides background information on the Regional Library's history. An early service of the Libraryas with other regional librarieswas its bookmobile, shown here in a contemporary photograph. 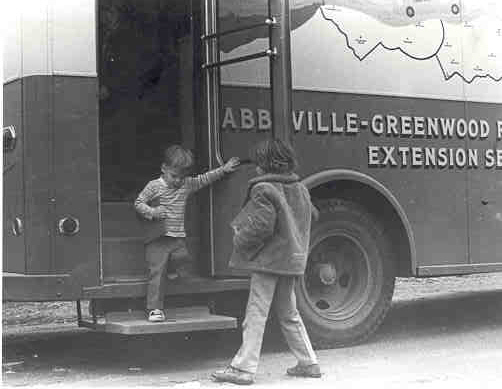 Times have changed and today, the Abbeville-Greenwood Regional Library maintains a Web site and hosts GRINet, a source of information on Greenwood county. The Aiken-Bamberg-Barnwell-Edgefield Regional Library was started in 1958 with Bamberg joining in 1964. Allendale-Hampton-Jasper Regional Library was the first in South Carolina, being organized in 1941. 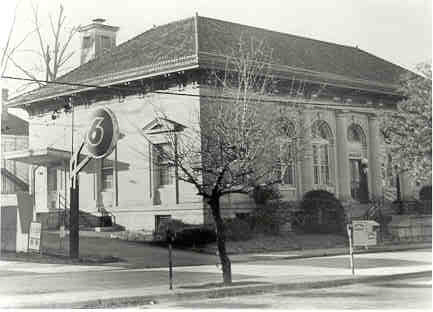 The former post office in Newberry served as the headquarters for the Newberry-Saluda Regional Library which disbanded in early 1999. This regional library was formed in 1948 from The Newberry County Library and the Saluda County Library. A discussion of the founding of the regional library is included in the history of the Newberry County Library by Estellene P. Walker cited above and in more detail elsewhere in her book. Abbeville County Public Library history. Greenwood City and County Public Library history.